The example of the Western world offers only very limited guidance to resolve Asian countries’ domestic conflicts. The ‘Beijing Consensus’ has even less universal application than its Washington counterpart. ‘Beijing Consensus’ sounds suspiciously like a cynical economic argument for the lack of political freedom. We are exposed to a veritable counter-revolution presided over by political and business elites across the world. For now countries with restive minorities seem to hold together. Future generations may find the cost too steep. In India, both Maoists in the forests and billionaires in gated communities practice informal secessionism. The Washington Consensus may lie in tatters. However, the Beijing Consensus has even less universal application than its Washington counterpart. It sounds suspiciously like a cynical economic argument for the lack of political freedom. 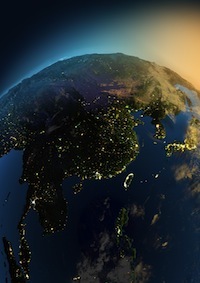 Where can — and where should — Asia find inspiration as it ponders the options for a well-balanced path to the future? It was — and is — never going to be easy for internally diverse societies like India and Indonesia to find a social, political and cultural identity without violence and disorder. The historical record reveals that the earliest modern intellectuals in Asia were beholden to European ideas. Working in a world shaped by European actions — ‘blinded by the dust-storm of modern history’, as Tagore put it so aptly — they naturally embraced the nation-state as the prerequisite for modernity. Europe itself took hundreds of years after the Treaty of Westphalia to develop and implement the concept of a sovereign nation-state. And even then, it saw that well-constructed system collapse, plunging itself into two world wars that ended up exacting a terrible toll from ethnic and religious minorities. Never mind that the European model of the ethnically homogenous nation-state was a poor fit in Europe itself. The poor fit of the model is even more clear-cut for multi-ethnic Asian societies. That has been amply proved by the plight of Kashmiri Muslims, Tibetans and Uighurs in China, the Chinese in Malaysia, Sunni Muslims in Iraq, Kurds in Turkey and Tamils in Sri Lanka. For now, most of the countries with restive minorities may seem to hold together. But they do so at great human cost which future generations will find too steep. Various African countries provide live examples that this pressure is becoming too much — and what happens when it does. Furthermore, the nation-state is fundamentally unable to deal on its own with such problems as climate change, environmental degradation and water scarcity, which spill across national borders. To give but one especially potent example, China’s damming and proposed diversion of the rivers that originate in the Tibetan plateau threaten catastrophe in South and Southeast Asia. Much of the ‘emerging’ world now stands to repeat, on an ominously larger scale, the West’s own tortured and often tragic experience of modern ‘development’. In India and China, the pursuit of economic growth at all costs has created a gaudy elite, but it has also widened already alarming social and economic disparities. It has become clear that development, whether undertaken by colonial masters or sovereign nation-states, doesn’t benefit people evenly within a single territory, not to mention across larger regions. Certainly, China’s and India’s new middle classes have done very well out of two decades of capitalism, and their ruling elites can strut across the world stage like never before. But this apparently wildly successful culmination to the anti-colonial revolution has coincided with a veritable counter-revolution presided over by political and business elites across the world. Just consider the privatization and truncation of public services, de-unionization, the fragmentation and lumpenization of urban working classes, as well as the ruthless suppression of the rural poor. There is no doubt that not just Mao but all the leaders of the Chinese Revolution would have rejected this strange denouement to their great venture. It has devolved to a model where some Chinese people stand up, while most others are forced to stand down. China’s privileged minority at the top aspire for nothing higher than the conveniences and gadgets of their Western consumer counterparts. Sixty years after independence in 1947, India, with its stable and formally democratic institutions and processes, seems to have come closer to fulfilling the nationalist project of the first post-colonial elites. The Indian nation-state has grown stronger, with a voice in the international arena. It is an increasingly attractive place for Western corporate and speculative capital. Indian elites, like their Asian counterparts in Japan, are still content to make themselves a junior partner to the United States, implicitly affirming that the post-war international order will survive. These Asian beneficiaries of globalization project an image of a confident and self-aware people moving as one towards material fulfillment and international prominence. But India displays even more garishly than China the odd discontinuities induced by economic globalization. By fostering rapid growth in some sectors of the economy, it raises expectations everywhere. However, by distributing its benefits narrowly, India expands the numbers of the disenchanted and the frustrated, often making them vulnerable to populist and ethnocratic politicians. At the same time, the biggest beneficiaries of globalization find shelter in such aggressive ideologies as Hindu nationalism. The feeling of hopelessness and despair, especially among landless peasants, has led to militant communist movements of unprecedented vigor and scale. Manmohan Singh, the outgoing Indian prime minister, describes them as the greatest internal security threat faced by India since independence. These Mao-inspired communists, who have their own systems of tax collection and justice, now dominate large parts of central and northern India. They are particularly present in the states of Andhra Pradesh, Jharkhand, Bihar, Chhattisgarh and Orissa. Their informal secessionism has its counterpart among the Indian rich. Gated communities grow in Indian cities and suburbs. The elite itself seems to have mutinied. Its members are retreating into exclusive enclaves where they can withdraw from the social and political complications of the country they live in. This is deeply troubling — as up to a third of Indians live in conditions of extreme poverty and deprivation. More than half of the children under the age of five in India are malnourished. Failed crops and spiraling debt drove more than a hundred thousand farmers to suicide in the past decade. The West itself has begun to feel the pain of the emerging world’s transition to modernity. China’s hunger for energy and resources raises the price of commodities, and its cheap exports undermine the once-strong economies of Europe and puts white-collar workers out of jobs in the United States of America. As India and China rise with their consumerist middle classes in a world of finite energy resources, it is easy to imagine that this century will be ravaged by the kind of economic rivalries and military conflicts that made the last century so violent. The war on terror has already blighted the first decade. In retrospect, however, it may seem a mere prelude to greater and bloodier conflicts over precious resources and commodities that modernizing as well as already modern economies need. The hope that fuels the pursuit of endless economic growth — that billions of consumers in India and China will one day enjoy the lifestyles of Europeans and Americans — is as an absurd and dangerous fantasy. It is as absurd and dangerous as anything dreamt up by al-Qaeda. Making it a reality would condemn the global environment to early destruction. It also looks set to create reservoirs of nihilistic rage and disappointment among hundreds of millions of have-nots. That would indeed be a most bitter outcome of the universal triumph of Western modernity. It would turn the rise of the East into something darkly ambiguous. All of the West’s past victories would then become truly Pyrrhic. Editor’s note: This essay is adapted from From the Ruins of Empire: The Revolt Against the West and the Remaking of Asia by Pankaj Mishra (Picador, 2013). Published by arrangement with the author. 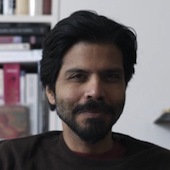 Pankaj Mishra is a globally published, award-winning non-fiction author and novelist from India.